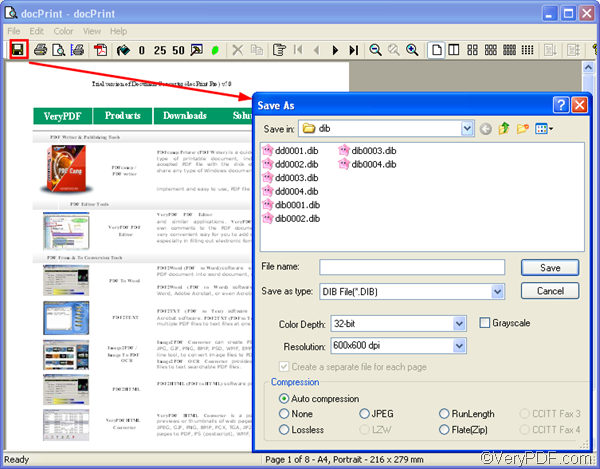 ← How can I stamp the "Sold" word on some PDF files with VeryPDF PDF Editor? How can I create high quality EPI files from Word documents? The file extension EPI is also called Ellipse Packager Invoice. It is a format associated with the Invoice generated by the all purpose application, implemented for the compression and splitting of files. The file extension .epi supports the program's wizard based interface along with data recovery, compression, and the Green Eclipse Intelligent Packing Technology, which was developed with the intention of ensuring minimal damage in instances where data loss occurs. 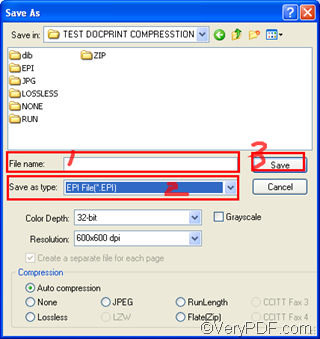 VeryPDF docPrint, as a document driver and Windows printer driver, supports you to create high quality EPI files from Word document. 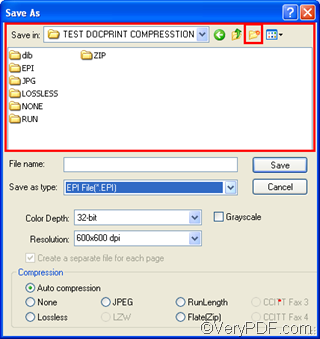 But before we go to see how does docPrint create high quality EPI files from Word documents, let me briefly introduce what color depth and resolution are. This is because high quality files requires high color depth and resolution pixels. Color depth is the number of bits used to represent the color of a single pixel. It can range from 1-bit to 32-bits of information. The highest color depth means the highest quality. And resolution can represent how close lines can be to each other and still be visibly resolved. 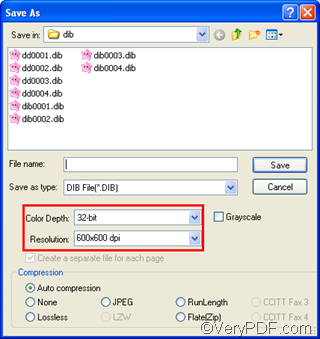 Hence, in order to create high quality EPI files from Word documents, you may need to set both color depth and resolution high. Step 1: Open one the Word documents in a proper application such as MS Office. Sometimes, if you are using an application other than MS Office, the Print dialog box may look a little different. 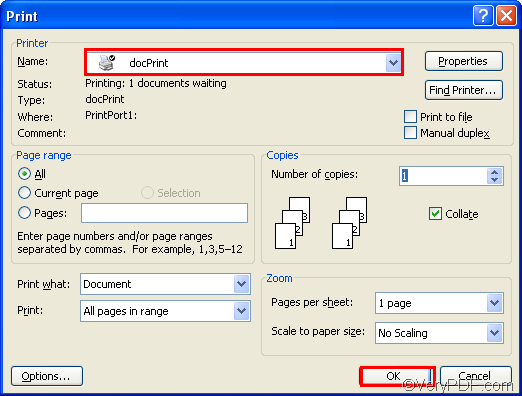 But don’t worry, just select docPrint in the Name combo box and click OK to open the docPrint dialog box. 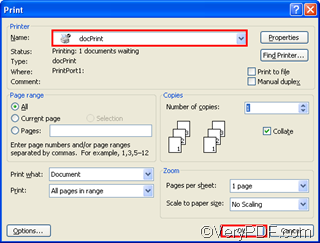 If there are multiple documents, you can repeat the first two steps until you add all the Word documents to docPrint. 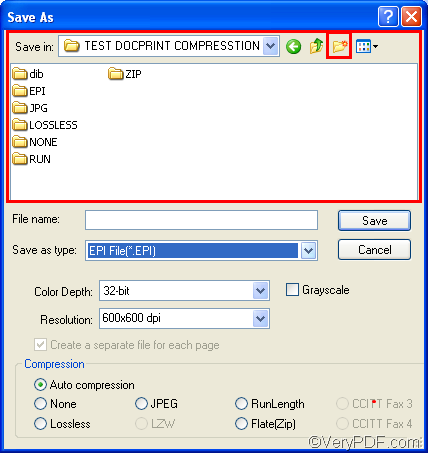 Step 3: Click the disc icon in the the docPrint dialog box to open the Save as dialog box. 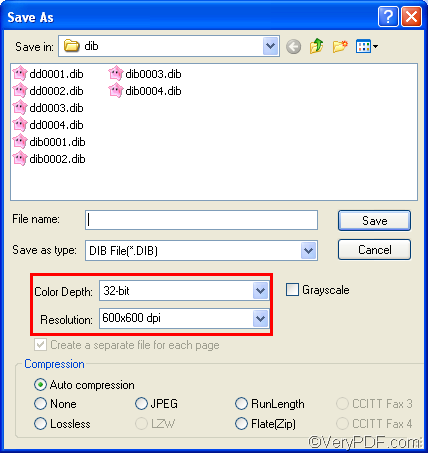 Step 4: Select the proper color depth such as 32-bit in the Color Depth combo box, and select a proper resolution option such as 6ooX600 dpi in the Resolution combo box. Step 5: Select a proper directory for the new EPI file in the list box. You can also create a new folder where you can put all the EPI files by clicking the second folder icon on the right of the Save in combo box. 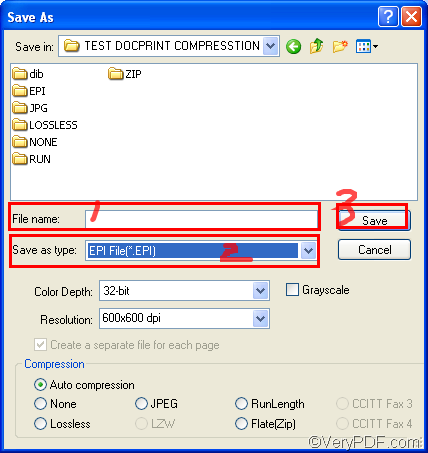 Step 6: Give a name to the EPI files in the File name edit box, then, the computer can add numbers to the given name for each new EPI files> Choose EPI File(*.EPI ) as the format to create in the Save as type combo box. > Click Save to create EPI files from Word document. You now know how to create high quality EPI files from Word document. To learn more about how to use docPrint to convert documents, please read articles at http://www.verypdf.com/wordpress. To download free version, buy or get more information about VeryPDF products, you can visit http://www.verypdf.com . What is PDF to TIFF Extractor?